Subscribe to keep up to date on Lake Superior fishing issues. The Wisconsin Department of Natural Resources, the Bad River Band of Lake Superior Chippewa and the Red Cliff Band of Lake Superior Chippewas have been working collaboratively since 2014 on a new Lake Superior Fishing Agreement that respects the interests of all parties while jointly protecting and enhancing the shared fishery of Lake Superior for all user groups. The DNR, Red Cliff, and Bad River Bands have come to an agreement that is biologically sound and considers the importance of the fishery to the local economy. 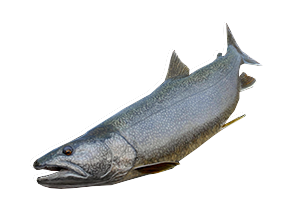 A public meeting to discuss the Lake Superior Fishing Agreement will be held Thursday, January 10, 2019 at 6 pm at Wisconsin Indianhead Technical College room 306, 2100 Beaser Ave., Ashland. 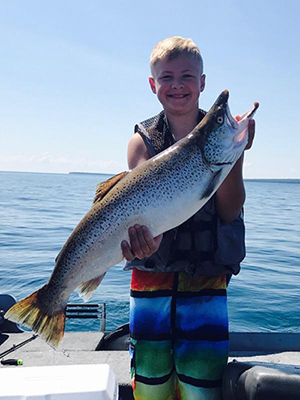 A Lake Superior brown trout comes aboard.